Tweet Another completed painting, done from the comfort of my home. I managed to finish, after the emotional roller coaster! Sometimes my paintings have to go through "stages" before it ends in its actual look. Hubby knows all about it, since he is constantly my critic (I always ask his opinion). He's seen it progress-- from a blank canvas, to a burst of colors...then my disappointment. Some attempt to improve it. Then transforming it to another concept. Art is a bit like our life-- we think it's going okay, only to discover transformations along the way, which ends up being better than we thought! Which brings me to the analogy of living in Malaysia. I thought I was "doomed" when we had to move to Malaysia. Instead, I found a place where I can call home. It has been 8 months living in Malaysia. So far, so good. I think we just 8 months, one can develop quickly his sense of direction and driving on the "other" side of the car. I paid a visit to the Embassy of The Philippines this week, to get some papers processed. Apparently, if one plans to purchase property in the Philippines through someone else (like my mom), I had to get a Special Power of Attorney signed by a witness -- the consul of the Philippine Embassy here in KL. I paid around RM96.00 for it. It was a hassle-free process, and I would say one will not have to wait too long. My tip: from the moment you call the embassy, or even enter the premises of the embassy, start speaking Tagalog! It definitely helps in the rapport. It took only 2 working days to get my paper signed. Have you watched Ratatouille? We watched it at the Curve in Cineleisure. It was entertaining. And of course, it got me curious... I wonder how Ratatouille taste like? Since hubby is French, I requested a taste test! He got on the internet and downloaded the recipe. While I was completing the painting above, he was sweet enough to cook it -- and it did look somewhat like the one in the movie! Unfortunately, I forgot to take a photo of it. It tasted -- yummy! It's composed of all vegetables (no meat). Hmm, maybe after this movie, restaurants in Paris will quickly add this to their menu, as more and more tourists will be ordering it. Do try! 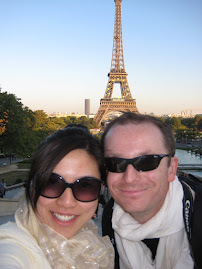 I chanced upon your blogsite as i was looking for expat info. Like you, I'm chinese, just got married and moved to KL from Singapore. you actually have time to Paint? !